The hero’s journey is the foundation of all storytelling. It is important to make sure that you, the business owners, are marketing your product or service as a part of that journey. But are you the hero or the guide? We talk with Mary Baird-Wilcock from The Simplifiers about how you need to be telling your story in the journey of marketing. 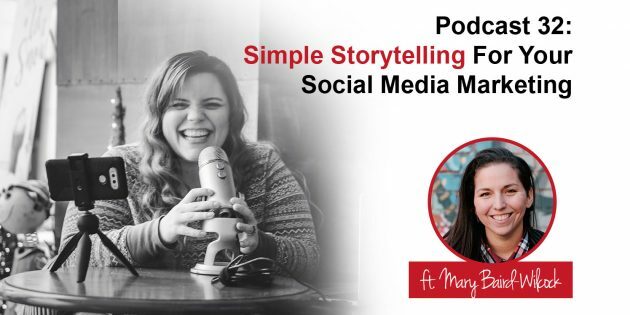 She shares how to use elements of storytelling in your social media marketing, blogging and on your Instagram feed to help build your gospel choir (aka, your raving fans that shout from the rooftops about you). Let’s peel back the onion and share your personal story a bit more in your work to people connect. (anticipated hopes for future) vision. Mary Baird-Wilcock, CSEP has one goal with her company…to help people simplify their lives. With over 15+ years experience in events management, she coaches creative entrepreneurs on how to simplify and optimize the operations side of their small business, including sales, how to hire a SUPER team you can trust and how to understand and manage the books. She also coaches brands on how to produce impactful live events that WOW their audience and their employees. An international public speaker who’s been published in FORBES Magazine and featured as one of the “Top 25 Young Event Pros to Watch” by Special Events Magazine, Mary is also on a mission to share the gospel of what a Texas breakfast taco is all about. Mary is the host of The Simplifiers Podcast, which takes topics in business and in life and SIMPLIFIES them. Tune in on Apple Podcasts or wherever you listen to podcasts. Join her free online community called the SUPER insiders where people can connect with other entrepreneurs who are passionate about simplifying their lives and their business.